The Best Nashville Blogs from thousands of Nashville blogs in our index using search and social metrics. We’ve carefully selected these websites because they are actively working to educate, inspire, and empower their readers with frequent updates and high-quality information. Nashville, TN About Blog Nashville.com features everything about Nashville including hotels, attractions, calendar of events, music, restaurants and more. Facebook fans 60,159. Twitter followers 3,942. Nashville, Tennessee About Blog The Nashville Guide, is the perfect guide to experience local and our Nashville product line is the perfect way to represent this beautiful city. Not only do we feel passionate about supporting local businesses but we also feel very passionate about supporting locals in-need. Facebook fans 721. Twitter followers 268. Nashville, TN About Blog Nashville Parent is dedicated to reaching Middle Tennessee families. Find Things to Do for Middle Tennessee, expert advice for raising kids & more from the editors of Nashville, Rutherford, Sumner and Williamson Parent magazines. Facebook fans 58,518. Twitter followers 5,964. Facebook fans 3,056. Twitter followers 1,754. 5. Eat. Drink. Smile. | All of the best eats & drinks in Nashville and beyond! Nashville, TN About Blog Hi, I’m Beth, a slightly food and drink obsessed girl living in beautiful Nashville, Tennessee. I'm always on the hunt for new and exciting things in the culinary world, so I created this blog to share all of my adventures, discoveries, inspirations, and recipes, along with a sprinkling of just about anything else that brings a smile to my face! Facebook fans 5,787. Twitter followers 7,727. Nashville About Blog My name is Angela Roberts. I am a Nashville Food Blogger & Recipe Developer. Most of my recipes are designed for real people with busy lives and small kitchens who love good food. Every Sunday, I publish a Crushing on Nashville post, highlighting some aspect our culinary scene. Facebook fans 4,110. Twitter followers 6,751. San Francisco, CA About Blog A subreddit with articles and news about Nashville TN USA from the reddit community. Facebook fans 1,187,068. Twitter followers 555,425. Nashville, TN About Blog This blog is for all things family related from parenting, family activities, craft ideas, home decor, family recipes, to family travel. Facebook fans 27,708. Twitter followers 95,715. Nashville About Blog Living with Landyn is a lifestyle blog and resource for women of all walks of life. Facebook fans 22,314. Twitter followers 1,492. 10. Eat Well Nashville Blog | Fresh. Delicious. Delivered. Nashville, TN About Blog Eat Well Nashville is on mission to help you eat well and live better with fresh, healthy, and affordable ready-to-eat meals delivered directly to your home or office. Facebook fans 5,088. Twitter followers 170. Nashville About Blog Hello! I'm Ashley! I'm a Nashville based freelance writer. I enjoy the outdoors, adventure travel and vegan food. This blog is a popular travel resource focusing on outdoors, adventure, ecotourism and vegan & cruelty free lifestyle. Facebook fans 4,220. Twitter followers 29,454. Nashville, TN About Blog Welcome to Hey Wanderer! We are two best friends living in Nashville blogging about stylish spaces, beautiful places, and adventurous travels. They share DIYs, recipes, music, outfit posts, décor ideas, our battle to try to live more simply and some of our many, many thoughts. Facebook fans 5,760. Twitter followers 1,218. Nashville, Tennessee About Blog A Nashville based lifestyle blog dedicated to all things fashion and beauty, family and children, fitness and fun, food and drink and anything else happy. Facebook fans 738. Twitter followers 1,325. Nashville About Blog Nashville History is a blog about the people, places and events of Nashville's and Davidson County's past. Nashville, TN About Blog Nashville Fashion Week is a city-wide celebration of Nashville’s thriving fashion and retail community and its vast array of creative talent—featuring local, regional and national design talent in fashion events and shows, and encouraging both Nashvillians and visitors to explore the city’s diverse fashion and retail spaces throughout the week with promotions, partnerships and educational workshops. Facebook fans 10,410. Twitter followers 5,099. Nashville, TN About Blog Go Eat Your Bread with Joy is a food blog from Nashville copywriter Shanna Mallon. Join me digging into cookbooks, recipes, food businesses and food events. Facebook fans 53. Twitter followers 2,540. Nashville, TN About Blog KBStyled is a Nashville based Fashion & Lifestyle blog authored by Brooke Webb. Facebook fans 3,900. Twitter followers 1,360. Nashville, TN About Blog Music City Moms is an online community for parents in Middle Tennessee. This is the place where Nashville area moms connect. We have a great group of moms to answer questions, give advice, or just listen. Keep your eyes open for our fun giveaways too. Facebook fans 1,355. Twitter followers 558. Nashville About Blog The Honey Print is a Nashville-based lifestyle blog that covers life, travel, wellness, home, and more. Nashville About Blog Nashville House & Home & Garden is Nashville’s only magazine dedicated completely to local home decorating & remodeling. Reaching upscale homeowners throughout the Middle Tennessee area. We cover everything for your home & garden. From the latest Interior Design Trends, Granite & Marble, Kitchen & Bath Design, to your Landscape we write about everything you need to make your house into a beautiful home. Facebook fans 2,905. Twitter followers 5,813. Nashville About Blog Nashville Luxury Travel is a boutique design firm that creates bespoke itineraries for the discerning traveler. Facebook fans 1,668. Twitter followers n/a. 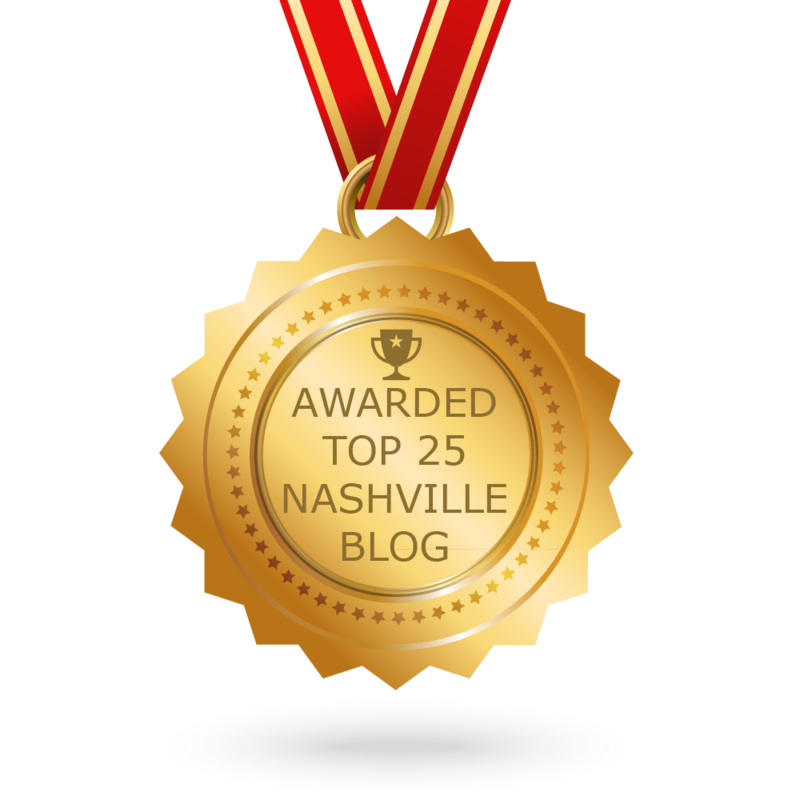 CONGRATULATIONS to every blogger that has made this Top Nashville Blogs list! This is the most comprehensive list of best Nashville blogs on the internet and I’m honoured to have you as part of this! I personally give you a high-five and want to thank you for your contribution to this world.